We are a leading Manufacturer of planetary gearboxes for mobile industry from Mumbai, India. We feel proud to introduce ourselves as the leading organization in domain, engaged in offering an excellent range of Planetary Gearboxes for Mobile Industry. These gearboxes are available in different specifications and can be customized as per the need of our clients. The offered gearboxes are manufactured by our skilled teams as per the set industry norms using quality approved materials with the help of advanced technology. 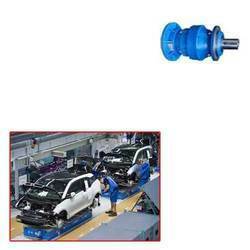 Our gearboxes are highly demanded among the patrons for their longer functional life and trouble free functionality.